– Merkato. 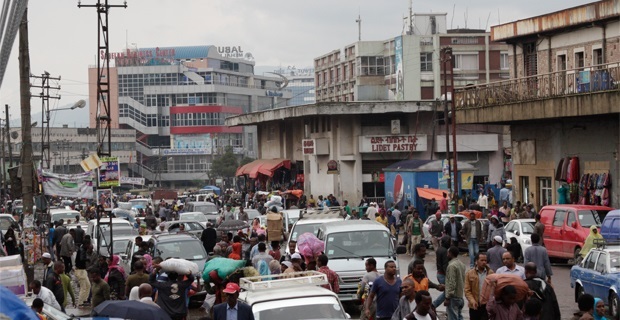 It is also possible to visit the largest market in Africa where virtually everything is on sale from live stock to computers to a huge selection of Ethiopian arts and crafts is always quite an experience. 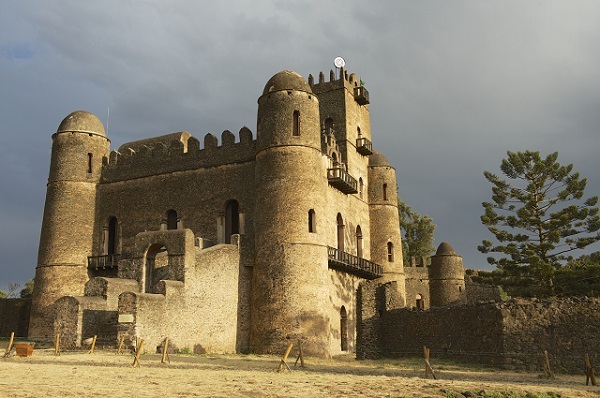 In the morning we will take a flight to Gonder, a 17th century royal city of Ethiopia, affluent in the imperial structure of a Castle Compound and the spectacularly painted Debre Birhan Selassie Church. 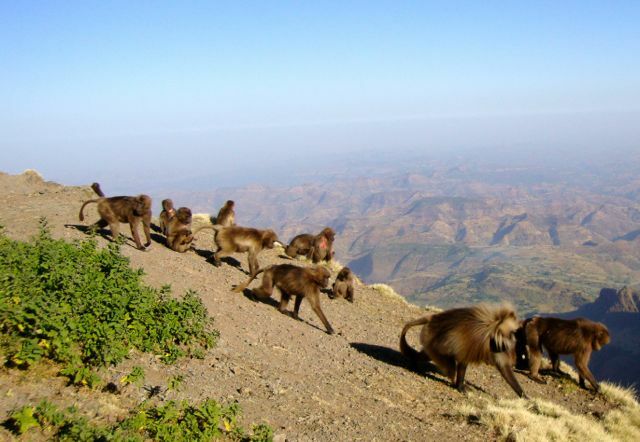 After breakfast we will depart from Gondar to Debark, where the headquarters of the Simien Mountains National Park are located. We will receive a scout and a local guide then drive into the park to towards Sankaber. You may either drive all the way to Sankaber or have the car can drop us off near Buyit Ras for a short hike. 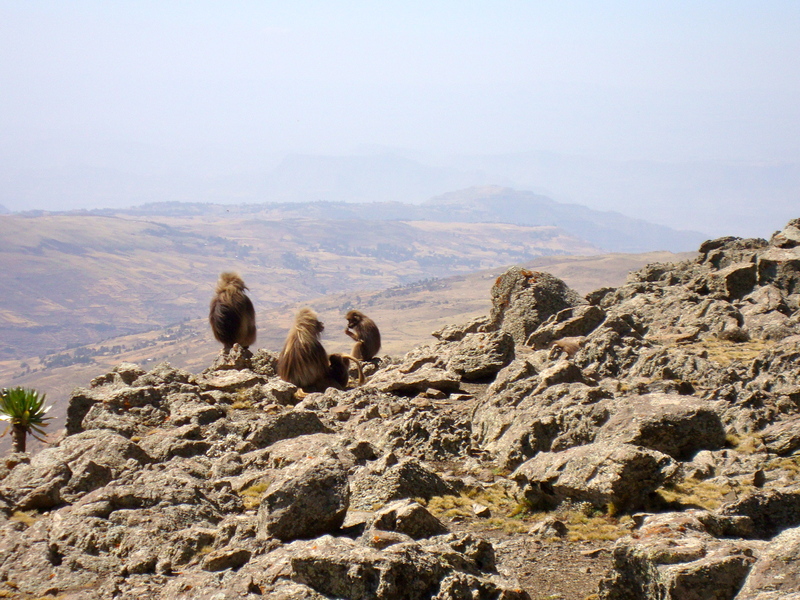 The hike has not only the advantage of a better acclimatization the altitude (3400 m) but you will also be rewarded with stunning views over the endless mountain ridges and valleys and you are likely to encounter the gelada baboons. When we arrive in Sankaber we will be met with our supplies for the trekking..
From Sankaber you will begin hiking following a ridge overlooking the foothills some 800 m below. From the ridge we will descend down into the valley, where the Jinbar River plunges over the Geech Abyss. We spend some time near this amazing waterfall and thenl continue to Geech village where we will find our second campsite. 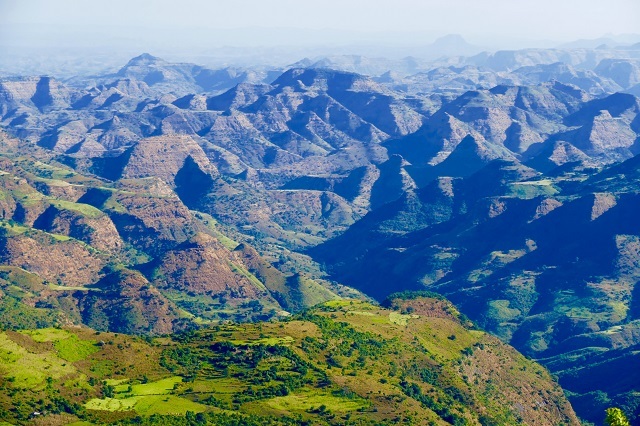 After breakfast you will start off for a 7-8 hour hike with some of the best views you can get in the Simien Mountains. 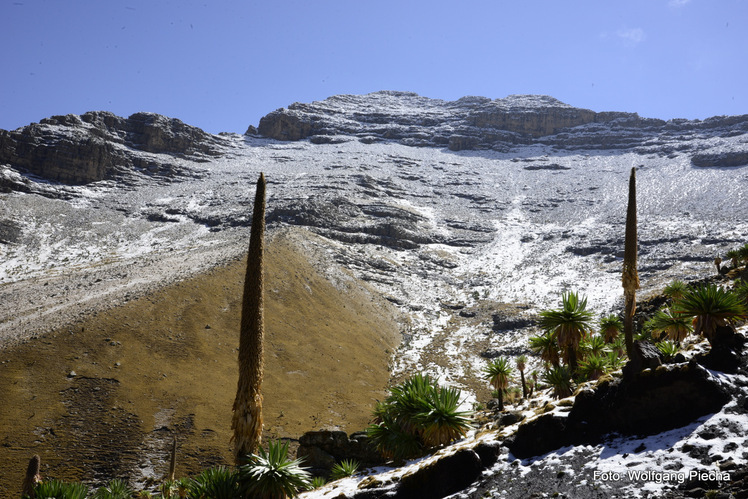 We pass through Imet Gogo at an altitude of 3,926 m and will enjoy panoramic views over an amazing landscape. From here, the canyon, ridges and valleys in the distance seem to be endless From Imet Gogo we will continue to the next view point at Innateye valley at an altitude of 4,070 m.Here we break for lunch and then descend to Chennek (3,600m) for our third campsite. After breakfast, it will take us 2 hours to reach the summit of the Buwahit pass (4,200 m). 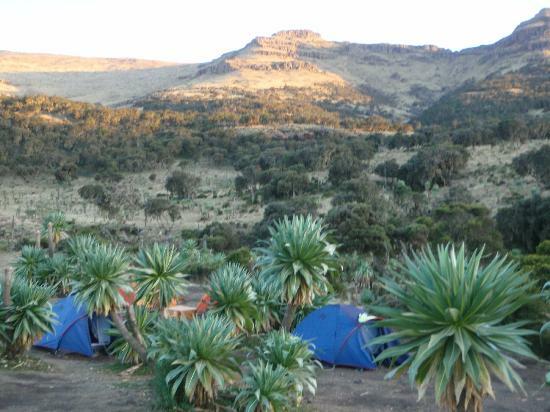 From here we woll have a preview of what will expect us on the next day, the Ras Dashen, the highest peak in Ethiopia. For today, we will follow the path down into the Meseha valley to cross the Meseha river and then climb up again towards Ambiko where we will camp for the night. Today we will ascend the peak of Ras Dashen. We start out before sunrise with a hike through the main valley. Closer to the mountain the way becomes steeper and steeper climbing up amidst Giant Lobelia plants. The last part of the hike very challenging for most trekkers, but even the more rewarding once you reach the highest point in Ethiopia. Here, at an altitude of 4,543 m, you will enjoy amazing views of an impressive landscape. Total hiking time will be approx. 8-9 hours until we will reackh back to the campsite at Ambiko for the night. We have an another long day (7-8 hours) ahead of us. From Ambiko we descend back to cross the Meseha River at 2,750m before ascending again to the small village of Chiroloba, where we will have our lunch break. We then have to cross the Buwahit Pass (4430) once again. From here it will take us one more hour to reach down to the Chennek camp site. 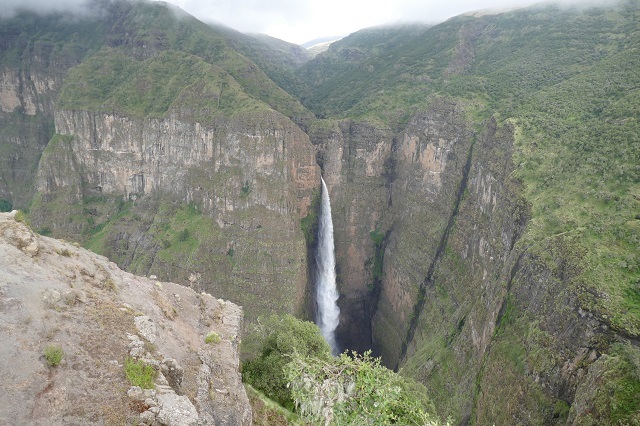 In the morning , we will be picked up from Chenek and be driven back to Gonder (approx.5 hours). You may either continue your journey elsewhere from Gonder or take the afternoon flight back to Addis Ababa. You will be picked up at Bole International Airport in Addis Ababa and taken to your hotel ( a day room can be provided if you depart in the late evening). You are invited to a memorable farewell dinner in one of Addis Ababa’s traditional restaurants with cultural songs, dances and traditional food and drinks. 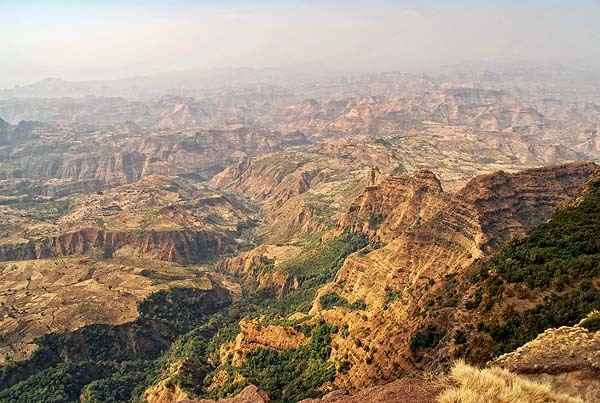 You will then be transferred to either Bole International Airport or, if you continue your stay in Ethiopia, to your reserved hotel.